Hardingstone Bed and Breakfasts. Compare latest rates and Live availability for all your favourite places and places you have always wanted to go using our new My Shortlist feature. Click + to add to your Shortlist. 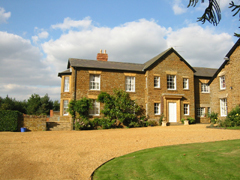 Bed and Breakfasts in Hardingstone, Northamptonshire for 1 night from Sat Apr 20, 2019 to Sun Apr 21, 2019 within 10 miles, in an Average Nightly price range of £1 to £200. The Heart of England is a hotel, pub and restaurant in Weedon Bec, around 8 miles west of Northampton. It offers comfortable bed and breakfast accommodation in a location close to the M1 and around 30 minutes from Milton Keynes. Each room at The Heart of England has an en suite shower, flat-screen TV, work desk and tea and coffee facilities. Rooms are decorated in a contemporary style in warm earth tones. A full English breakfast is available to guests each morning. The restaurant serves a full menu of popular pub dishes, with burgers, steaks, pasta and pies followed by tempting hot and cold desserts. The Heart of England is located in a converted 18th-century farmhouse. It now has a pretty beer garden with outside seating areas and a children's playground. This Park Inn by Radisson is situated in Northampton town centre, just 5 minutes' walk from the rail and bus stations. It offers 146 rooms, an on-site leisure centre and a bar/grill. All of the modern rooms at the Northampton Park Inn by Radisson Hotel have a flat-screen, LCD TV, an en suite bathroom, and a safe. Tea/coffee making facilities and free Wi-Fi are also available. The RBG Bar is open daily, serving a wide range of beverages and cocktails, and sport is shown on the big-screen TV. The RGB Grill offers gourmet burgers and snacks, and 24-hour room service is also available. Guests receive free access to Pace Gymnasium. The Park Inn by Radisson Northampton is easily accessible from the M1, and is within walking distance of Northampton's business and retail venues. Delapre Golf Centre is just 10 minutes' drive away.